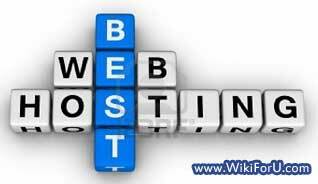 Choosing a Web Host is very time consuming task which includes a lot of hard work. You have to research about each Web Hosting Provider's Hosting Plans and Hosting Features and then compare their prices with others. Thus this task of choosing right web host for hosting your website or blog requires a lot of research and prior knowledge to some Basics of Web Hosting and Server Maintenance. There are many Web Hosting Reviews out there to check before you purchase any Hosting. Keeping that in mind, i tried to make this task much simpler to you so that you don't have to waste your time on doing research about best Web Hosting Solution that suits you. This How To Tutorial is for beginners who are just entered into Era of creating and maintening Websites or Weblogs. Although, this article may also useful for advance and experienced users as it highlights some quick facts that one should look upon when reviewing or comparing different-different web hosts. As i already told that this Web Hosting Tutorial is for beginners. So to make things more clear lets start from the beginning and understand what is Web Hosting? Getting some Space on a Server for hosting files and pages. Getting some specific amount of data transfer in a month (known as Bandwidth). Now, to choose a Web Host wisely, we have to look for various features that are provided in its hosting package and price of its hosting plans. Web Space:Web Space or web hosting space is the total amount of space that we gets for uploading our data and pages. Most companies offers plans with Unlimited Space in their web hosting plans but please note carefully that there is no such thing like unlimited storage. But you should not worry about it , because usually our maximum data upload not crosses the threshold limit. But if you are going to buy a hosting for some large business then you should first talk to the respective web host about your requirements. Bandwidth:Bandwidth is the maximum amount of data transfer that can take place between your server and user. Most of the web Hosting providers are giving unlimited bandwidth to their users. But as i said before that there are no such things like Infinite and Unlimited. They call it Unlimited because its more than the maximum bandwidth required for most of the users. Monthly Cost or Charges: Here, we compares how much they charges per month for giving their hosting features to the users. Some web hosting providers provides very cheap web hosting while others offer highly expensive hosting plans. iPage is one of the Cheap Web Hosting Providers having very good services and support. Going ahead, Hostgator and Bluehost are the moderate. While, the feature rich hosting providers like WPEngine are much costlier. Server's Reliability: Here, we checks for the reliability of the Web Servers that is how much faster they are and if they suffers from any down times. Most of the Web Hosting Companies guarantees 99.9% uptime but very small amount of them can provide it. Customer Support: Customer support is of great concern. As you may fall is some technical problems with your website, then if the customer support of your Web Host is good then you can easily get solutions for your problems. User's Trust: Finally, this comes to count that how much bloggers and webmasters uses and liked their service that is how much brand awareness they have in the industry. Like Bluehost and Hostgator earned a great trust from their users. Hostgator has the best Award-Winning support team of the World, thus most new bloggers and webmasters go with them. However, If you are going to make a very good Wordpress Blog or Website then WPEngine is a better option. They costs more than Hostgator but in return offers specialized Wordpress Customer Support with Special Wordpress Customization. WPEngine is the best Wordpress Hosting Solution out there.